We had a ball at the Brides of Limerick Meet The Bride Event last week. We were so excited to display so many of our fab collection for would be brides from all over the Mid West. The event held at the Castletroy Park Hotel was a great success for April and all the team at Brides of Limerick with over 200 people at the event. Nicola Fagan and her team at the Castletroy Park really rolled out the red carpet too. 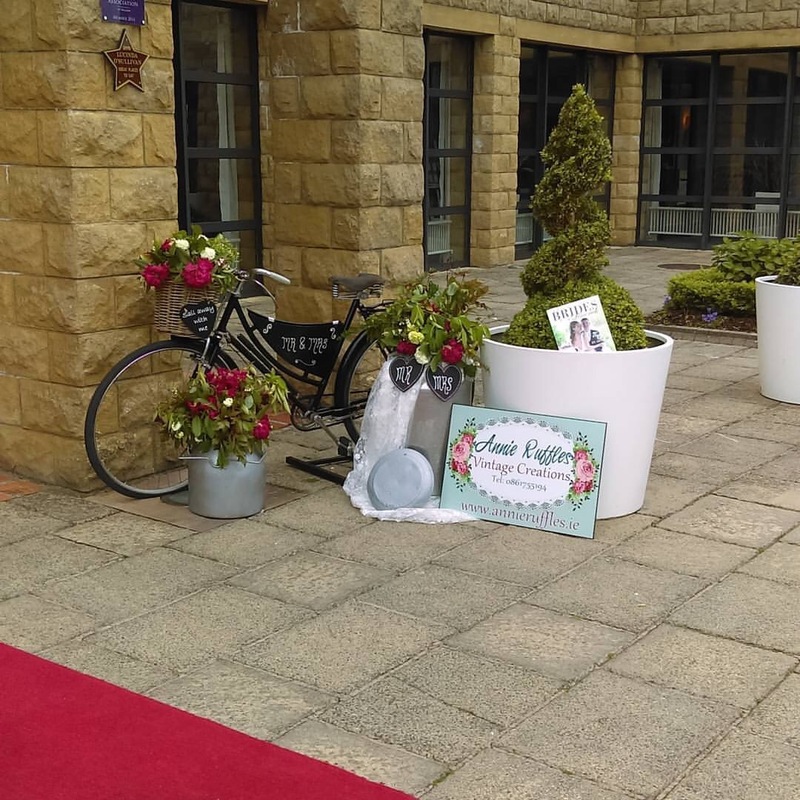 We shared some of our fab outdoor ceremony collection including our Telefon box which is a bit hit with heritage weddings or vintage weddings. Of course we had several of our high nellies on site too. The highlight for many people was definitely our cocktail bar which we set up to serve lemonade for all the thirsty brides and friends. it has a really great rustic charm which brings so much personality to your reception area. Well done to everyone who came along and made the event a great night for so many brides. We are taking bookings now for 2017 or 2018 it is never too early to talk to us about your special day.